Poppy Hills Golf Course staff and NCGA officials got a sad surprise Wednesday morning. The iconic, towering Monterey pine tree that stood guard over the green of the par-5 9th hole since the course’s 1986 opening had fallen down due to the recent inclement weather. Winds on Wednesday morning were gusting at times from 40-60 mph. Some of the Twitter reaction to hearing the news. Oh no. I remember tagging that tree to be saved during construction in 1984 or was it 1985. Wow!!! I’ve had one or two nightmares over that tree..
Alas, the news isn’t all bad. 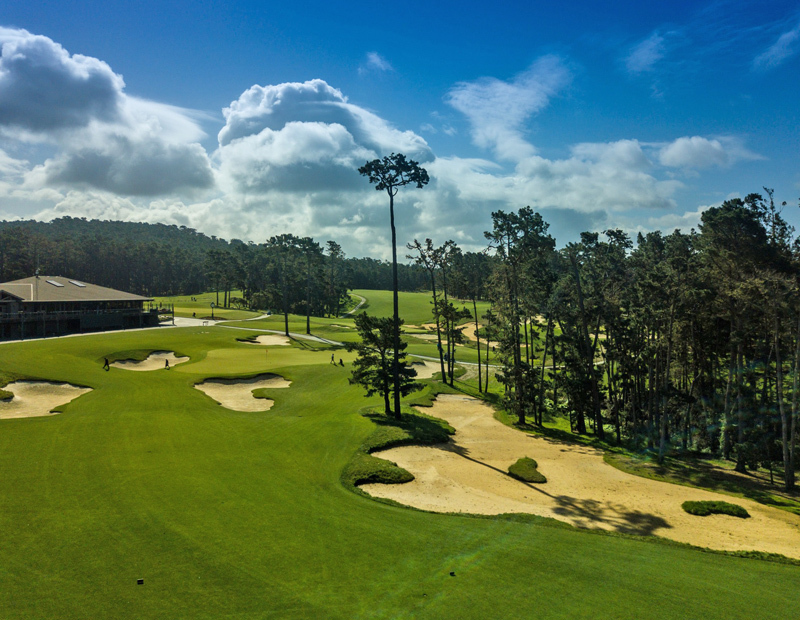 Poppy Hills and NCGA officials are expected to commemorate the tree in some fashion, perhaps by constructing something using the wood from the tree. When clearing the debris, Poppy Hills superintendent Lupe’ Orozco and his staff cut the tree into 6-foot sections.